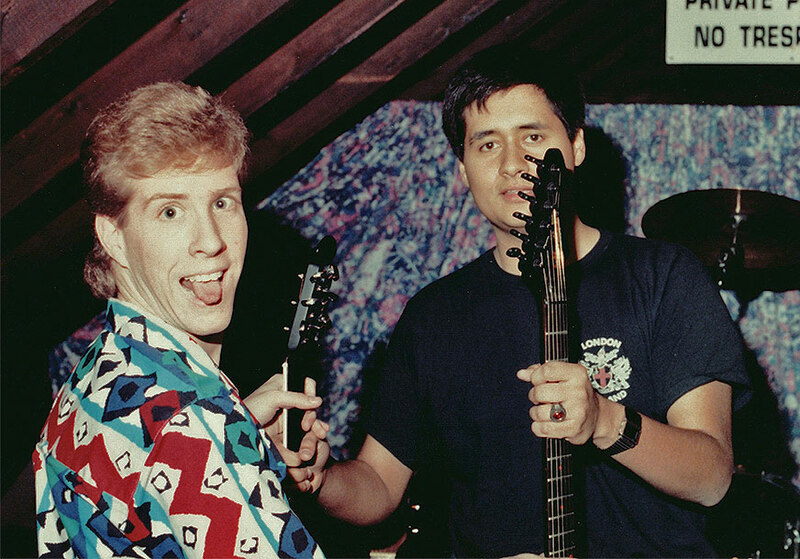 My name is Ed and I'm starting this campaign to help save my best friend Doug's life. Doug suffers from what is called TRD, or Treatment Resistant Depression. This is very different from the depression you might already know about. This is a neurological disorder that is caused by his brain being genetically "damaged", or underdeveloped. You see, his brain has a hard time creating the "happy" chemicals that we need to maintain a normal, healthy life. Because of this, Doug has not been successful with any typical therapies or drugs. He got so desperate that he finally joined a study in Canada where they performed brain surgery on him and implanted electrodes deep into his brain to try to stimulate the production of serotonin. He has had mixed results, with a couple of short remissions where he felt great, but these ultimately prove fleeting and short-lived. Because of all this, Doug is on disability and cannot work. Canada provides some assistance, but it's not enough to stay above the poverty line. At the end of every month, Doug usually falls short and has to go without food for several days, and cannot leave his apartment to anywhere further than walking distance since he doesn't even have enough for bus fare. The realization that he cannot provide for himself and is always inches away from homelessness invariably brings him crashing back down, even if his mood was up previously. The reason I am starting this campaign is to help him start a cushion of security so he doesn't starve to death or become homeless. This, in turn, will keep him from having the monthly stress that deepens his depression. All money will go to Doug so that he knows there are people out there who support him and want to see him succeed in battling his depression and trying to lead a normal life. Doug and I currently do a podcast about mental health, but he hasn't been able to participate recently due to his depression. 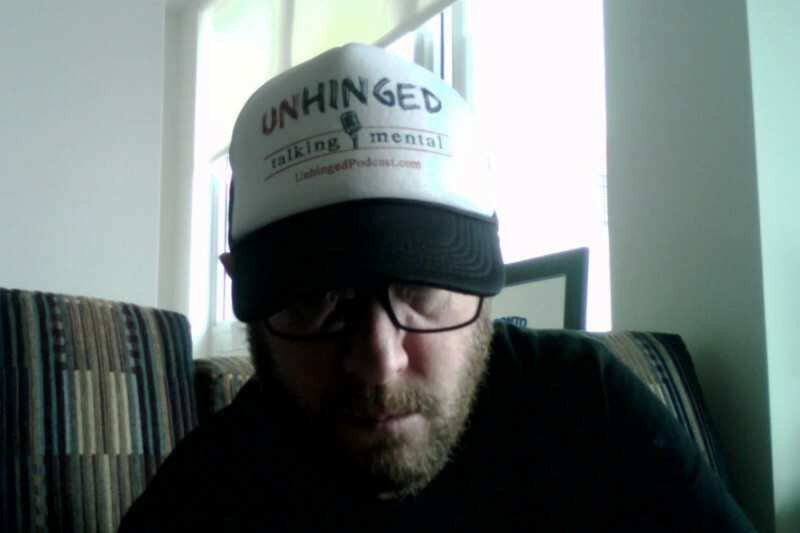 Our podcast is called Unhinged and we've done 32 shows so far. I hope to do more when he climbs out of the darkness. The song is very emotional for me and contains clips of Doug speaking when he was severely depressed and suicidal. It is a true snapshot of what he has gone through in his 47 years of depression, but ends on a positive note. I want this song to become an anthem for those who suffer from mental illness so they know that there is always hope out there. Let's band together and help Doug survive! UPDATE: April 12, 2019 - The UHN Neuroscience team continues to follow me on a bimonthly basis, trying any way to find a neuromodulation setting that will maintain Its efficacy and hopefully stave off yet another relapse. Each relapse is potentially life-threatening, so for proper recovery it is not only critical to limit life stress, but also to consume a brain-healthy diet along with key vitamin/mineral supplementation, which I cannot afford on what this government provides to live on during full-time recovery and rehabilitation. The saddest & most frustrating realization is that while trying to stay alive, the Canadian government offers patients income during recovery Through the Ontario Disability "Support" Program, which gives us approximately $15,300/year to live on, in Toronto. That's about $3000 under the current poverty line. It feels as if on top of everything else, I am being punished for needing to have life saving brain surgery. Additionally, I cannot relocate myself to somewhere less expensive & populated, because I must be close to the hospital and the Neuroscience team of doctors, at least until my condition stabilizes somewhat. I am absolutely trapped in this situation and do not know for how long. An uncertain future. And now due to the latest situation with my current subsidized tenancy & the residential property management, my monthly rent will increase by an additional $250 effective May 1st. Thank you to all those who have supported by contributing in the past, and my sincerest, heartfelt thank you in advance for any future donations & support...you're truly lifesavers. Doug's rent just went up and he's struggling to make ends meet. Being on disability, he lives right on the poverty line, and due to his mental illness, he cannot realistically hold down a real job. Every month he goes a few days without eating because he runs out of money from his disability check. Any little bit helps! 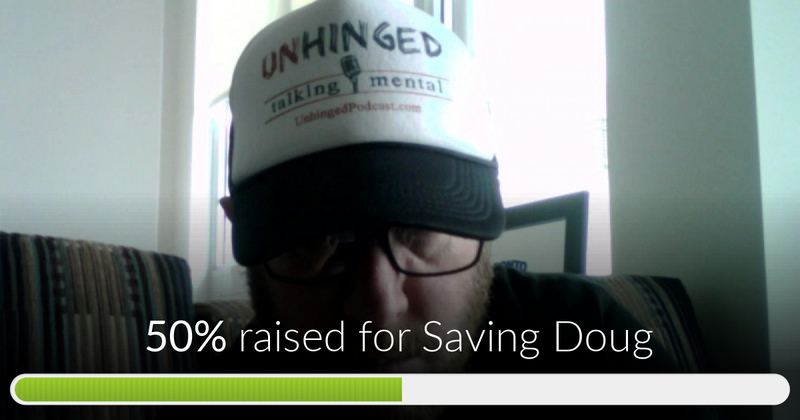 Saving Doug has reached 50% of its goal! This is a huge help already! THANK YOU ALL for being so caring and generous! Almost to the halfway point! Thank you to all the generous people donating for Doug! Ed, Personally, I and many have been there and Doug deserves financial and personal support. At the end of the month,I will make an affordable donation. People are our most valuable resource and we cannot throw them away in difficult times. I will spread word and thank you for being a good friend to Doug who does not deserve what he has experienced. Best wishes to Doug for a speedy recovery and never ever lose hope.